"The holy name of Lord Kṛṣṇa, His quality, pastimes and so forth are all of the nature of absolute truth, beauty and bliss. Naturally they are very sweet, like sugar candy, which appeals to everyone. Nescience, however, is compared to the disease called jaundice, which is caused by bilious secretions. Attacked by jaundice, the tongue of a diseased person cannot palatably relish sugar candy. Rather, a person with jaundice considers something sweet to taste very bitter. Avidyā (ignorance) similarly perverts the ability to relish the transcendentally palatable name, quality, form and pastimes of Kṛṣṇa. 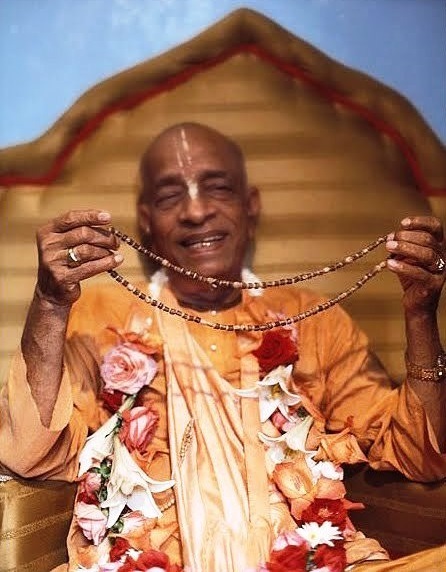 Despite this disease, if one with great care and attention takes to Kṛṣṇa consciousness, chanting the holy name and hearing Kṛṣṇa's transcendental pastimes, his ignorance will be destroyed and his tongue enabled to taste the sweetness of the transcendental nature of Kṛṣṇa and His paraphernalia."